A batch of 35 were delivered in 1963 divided between the Ribble, Standerwick and Scout fleets. These were the company’s first Plaxton bodies. 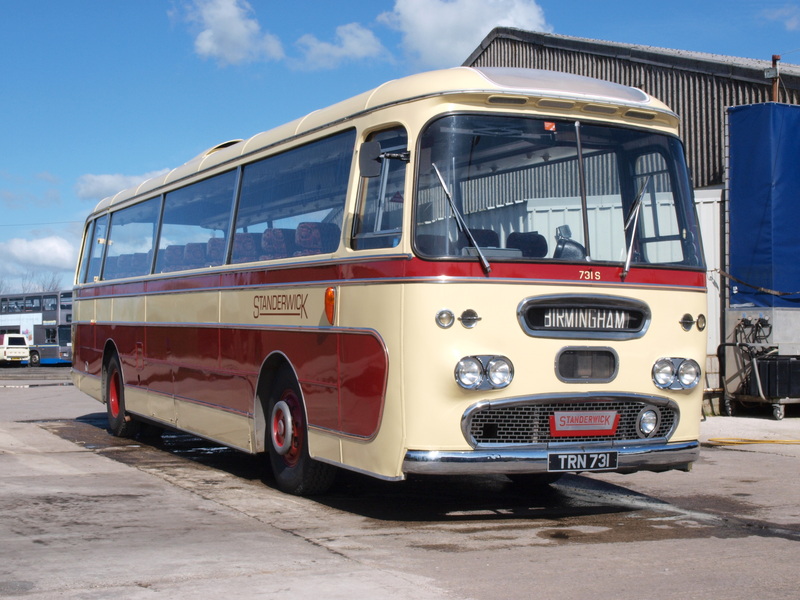 731 worked in the Standerwick and Ribble fleets until 1975 when it was sold to Ingleby’s of York for further PSV service. In 1997 it passed to Andrew Rawnsley of Bingley , W Yorks. for preservation back in Standerwick livery, and for regular rallying in the North West. It is currently (2017) “resting” but will be back in due course.